DAVID LE/Staff photo. 6/3/15. 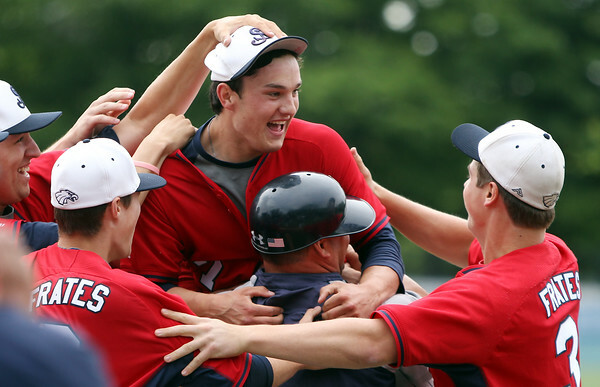 St. John's Prep senior starting pitcher Justin Foley gets mobbed by his teammates following his no-hitter against reigning Super 8 champions Newton North on Wednesday afternoon.